VOGO SPORT in the game for the most prestigious Handball Cup in France. The Final 4 of the League Cup brings together the 4 best French teams of the moment on 16 and 17 March 2019 in Antares arena, Le Mans, France. The LNH / (NHL / French Handball National League) pursues its commitment to be a major player in innovation and digital technology in French sport. As part of this approach, and on the occasion of the League Cup Final4, the LNH has chosen the VOGO SPORT Live & Replay solution to enrich the spectators’ experience for all the games that will take place in the Antarès arena in Le Mans, from March 16 to 17. “VOGO SPORT brings a real added value to the fan experience! The League Cup Final4 is the ideal event to experience these new technologies. It comes in addition to the use of statistics on screens or the digital scoreboard, we are very happy to offer these innovations to our audience. I would add that this is possible thanks to a very good collaboration with beIN sports, our official broadcaster”, said Olivier Girault, President of the LNH. 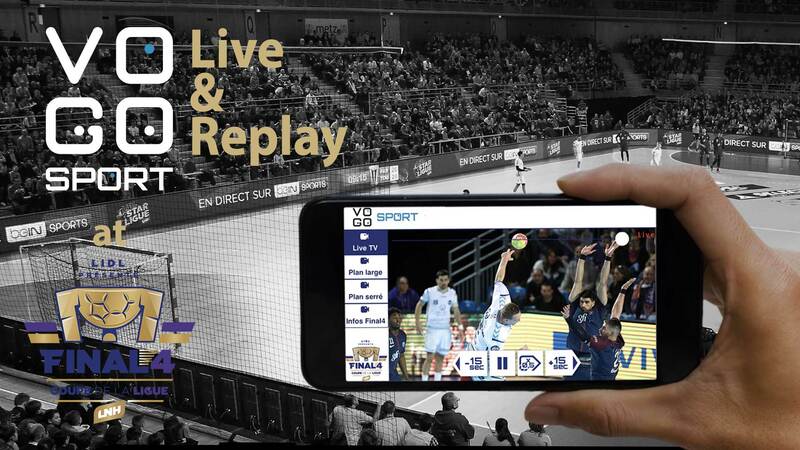 The VOGO SPORT Live & Replay service will be available this weekend to all audiences in the Antarès arena who have downloaded the VOGO SPORT application free of charge on the iOS and Google Play platforms. The more than 10,000 spectators expected to follow this prestigious championship competition will be able to watch the most beautiful game actions on their smartphone or tablet in multicam, live and replay, in slow motion or zoom mode… While having access to exclusive video content offered by the LNH and their partners. This year, the 4 best French teams will be in “numerical superiority” with VOGO SPORT for more visual comfort… VOGO is ready and we are waiting for you to support your favorite teams!